Heavenly Father, I wouldn’t be surprised if many of our prayers are for big things. Kinda like the pelican whose bill holds more than his belly can. It’s only when we give thanks for the little things that we realize we’ve been blessed enough. There are so many times when we take things for granted. So many things that are part of our every day life and so obvious that we over look them. Sometimes gestures or kind deeds are not enough. A hug with the words I love you is the cement that binds family and friends. Help us never to over look the little things and make all our family and friends feel there is something in them. Amen! Our special guest speakers on Tuesday’s meeting were two children from the area participating in our Oratorical Contest. Student “A” was a senior from Centerville High School and student “B” was from Incarnation. 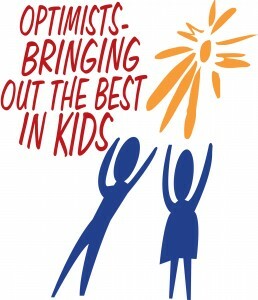 Both were asked to speak about the true meaning of Optimism and they shared with us some great insight on the topic. 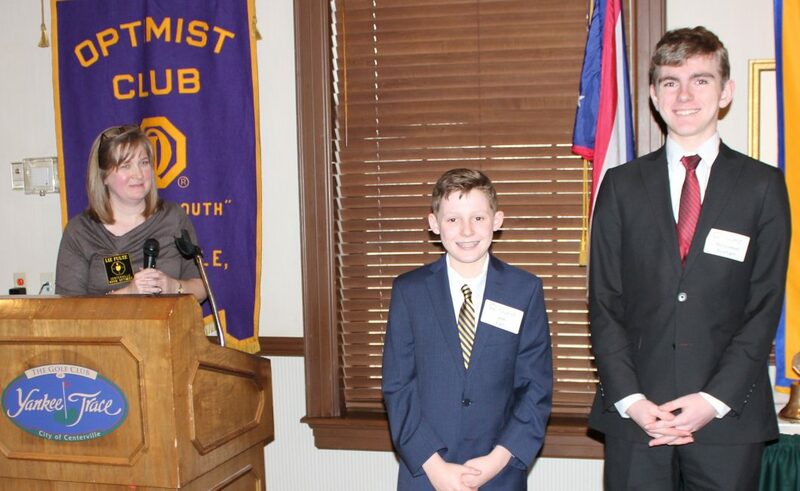 Both boys, Student “A” – Benjamin Arehart and Student “B” – Joe Lair, did an outstanding job of writing and delivering their speeches to the 75+ club members and guests in attendance at lunch. Student “A”, Benjamin Arehart, was the winner and will take on the winner from the girl’s oratorical contest in April.